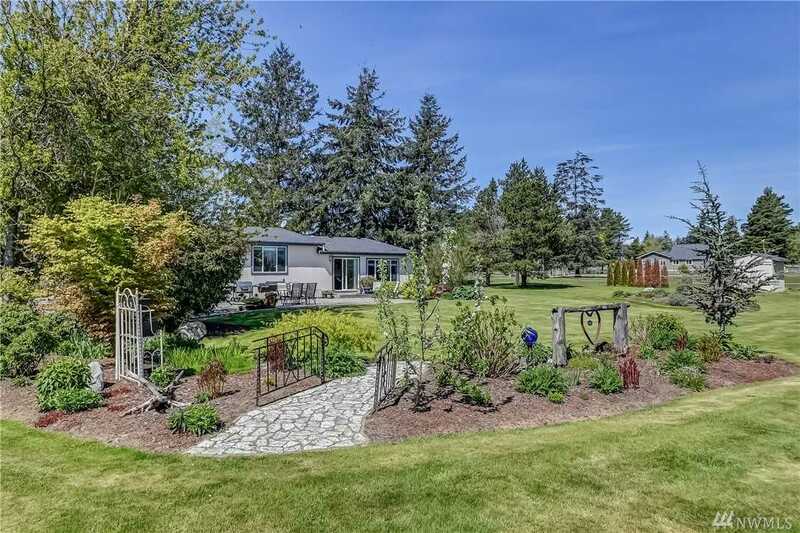 Picture perfect views of Mt Baker from this spacious home on 2 flat, park-like acres. High-end Manf Home is set on a recessed foundation & feels site-built. Two living areas, dining room, office, Master w.grand bathroom & enormous walk-through closet. Open kitchen w/island, resurfaced cabinets, double oven, large pantry. Tons of storage throughout! 3 car garage w/bonus living space & .75 bath. New roof, tankless water heaters & efficient heating panels. Wired generator included. Has it all Directions: I-5 North to Exit 266 Grandview Rd, Left on Grandview, Right on Vista Dr, Right on Fox Rd at the very end. Home on Right. Please, send me more information on this property: MLS# 1434901 – $516,000 – 2612 Fox Rd, Ferndale, WA 98248. I would like to schedule a private showing for this property: MLS# 1434901 – $516,000 – 2612 Fox Rd, Ferndale, WA 98248.